MARK Young tasted the sweet smell of success for the second year in a row when he retained the Penwortham Rose Bowl. 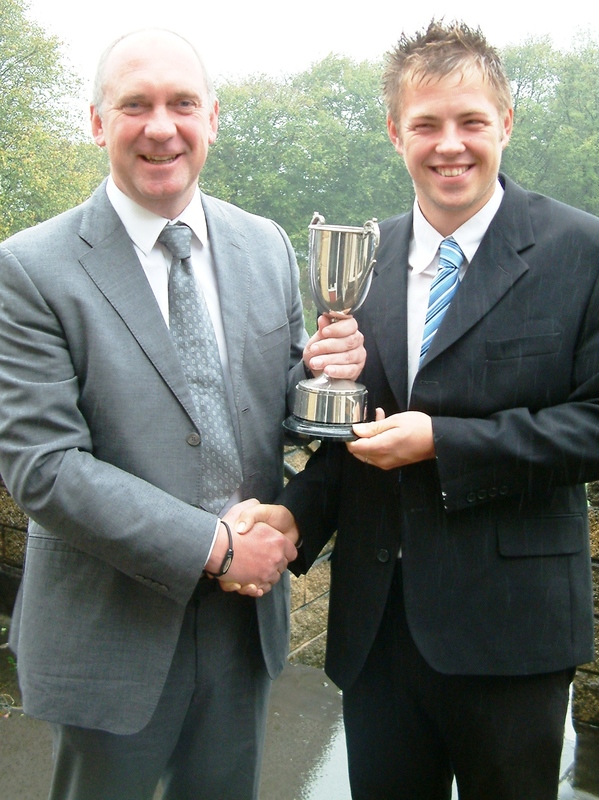 And victory kept the Longridge man on course for his fourth Cleveland Srixon Northern Order of Merit crown since 2007. It was also the Lancashire County player’s second title in the month following his triumph in the Henriques Trophy at Hesketh. Young opened up with a 71 to lag three shots behind High Legh Park’s Matt Ford but he hit back with a level par 69 in hot and windy conditions to prevail by two from rising Haigh Hall star Reece Cranfield whose closing 65 was the best of the day. Young moved to within 60 points of Huyton & Prescot’s John Carroll who defends his Lancashire Amateur Championship title at Preston this week. DETAILS: 140 Mark Young (Longridge) 71 69; 142 Reece Cranfield (Haigh Hall) 77 65, Ben Short (Nelson) 72 70, Matt Ford (High Legh Park) 68 74; 143 Toby Roberts (Lancaster) 77 66; 144 Andy Allen (Crompton & Royton) 71 73; 145 Michael Zwarts (Fleetwood) 74 71; 146 David Wilding (Penwortham) 75 71; 147 Thomas Lockwood (Penwortham) 78 69. Gareth Bradley (Bramhall) 73 74, Phil Stanley (Penwortham) 72 75; 148 Thomas Winn (Morecambe) 76 72. JOHN Carroll completed a memorable weekend when he added the Southport & Ainsdale Bowl to the Formby Hare which collectively earned him the Lancashire Links Trophy he also claimed last year when it was inaugurated. And victory for the painter and decorator from Huyton & Prescot shoud serve as a perfect incentive as he defends is Lancashire County Championship title at Preston at the end of the month. Carroll set the pace in the first round with a four-under-par 68 containing five birdies. He lost his momentum, albeit for a few holes, in the afternoon when he returned a 72 which included a bogey on the home green. But despite picking up a birdie in the same hole, host club player Daniel Creaney pulled up a shot short and had to settle for second place. Carroll, meanwhile, increased his lead in the Cleveland Srixon Northern Order of Merit to 145 points over county team-mate, Southport & Ainsdale’s Paul Howard. DETAILS (Par 72): 140 John Carroll (Huyton & Prescot) 68 72; 141 Daniel Creaney (S&A) 70 71; 143 Henry Tomlinson (Royal Lytham) 72 71, Graham Roberts (Eaton) 70 73; 136 Ciaran Doherty (Bury) 77 69, Adam Andrews (Ashton-in-Makerfield) 74 72; 147 Mark Rabone (S&A) 73 74, Paul Howard (S&A) 70 77; 149 Jonathan Hurst (Pleasington) 77 72, Sean Towndrow (S&A) 76 73, James McCormick (Styal) 76 73, Alex Croston (Fleetwood) 73 76. JOHN Carroll won the Formby Hare for the second year running to move into pole position in the Cleveland Srixon Northern Order of Merit after three events. Ainsdale player finishing second five shots behind his Lancashire team-mate. Carroll, who defends his County Championship title at Preston at the end of the month, led from the outset with a 71 then pulled away from the rest of the field with a closing 68 for a five-under-par total. Three-time merit winner Mark Young, from Longridge, seven strokes off the pace, finished third – a position he occupies in the standings. DETAILS (Par 72): 139 John Carroll (Huyton & Prescot) 71 68; 144 Paul Howard (S&A) 71 73; 146 Mark Young (Longridge) 75 71; 148 James McCormick (Styal) 75 73, Ben Sardo (Otley) 74 74, Greg McIlroy (S&A) 72 76; 150 Rhodri Fieldhouse (Wrexham) 75 75, Paul Lowey (Peel) 75 75, Graham Roberts (Eaton) 75 75; 151 Thomas Gandy (Rowany) 79 72, Kiston Taylor (Formby) 77 74, Jon Hurst (Pleasington) 77 74. STANDINGS: 285 John Carroll (Huyton & Prescot); 250 Paul Howard (S&A); 225 Mark Young Longridge); 120 Greg McIllroy (S&A); 100 Paul Kinnear (Formby), Steve McGlynn (Blackburn); 95 Ben Sardo (Otley); 70 Jon Hurst (Pleasington); 60 Sean Towndrow (S&A), James McCormick (Styal). THE cream came to the top in the Henriques Trophy at Hesketh where three-time Cleveland Srixon Northern Order of Merit winner Mark Young finished a shot ahead of title-holder Steve McGlynn. day helping Lancashire to an emphatic 12-6 victory in the opening Northern Counties fixture against Northumberland at Hexham. Longridge’s Young added a 75 to the opening 74 for a five-over-par total. But McGlynn, from Blackburn, blew his chance after following a morning round of 73 with a 77 which included a double bogey at the short 16th. Young, who claimed his last Order of Merit title two years ago, shares top spot in the standings with Lancashire team-mate Paul Howard. DETAILS (Par 72): 149 Mark Young (Longridge) 74 75; 150 Steve McGlynn (Blackburn) 73 77; 151 Greg McIllroy (S&A) 71 80; 153 John Carroll (Huyton & Prescot) 75 78; 154 Ian Meeds (Harwood) 76 68, Reece Cranfield (Haigh Hall) 76 78, Simon Robinson (Heysham) 74 80; 156 Glen Furnival (Fleetwood) 78 78, Anthony Williams (Prenton) 76 80, Sean Towndrow (S&A) 72 84; 158 Alex Pritchard (Frodsham) 81 77; 159 Wayne McIvor (Kirkby) 79 80. STANDINGS: 150pts Paul Howard (S&A), Mark Young Longridge); 135 John Carroll (Huyton & Prescot); 100 Paul Kinnear (Formby), Steve McGlynn (Blackburn); 75 Greg McIllroy (S&A); 60 Jon Hurst (Pleasington), Sean Towndrow (S&A); 55 Glen Furnival (Fleetwood); 50 William Shucksmith (Moortown), Ian Meeds (Harwood). THE Pines Trophy at Hillside, the second event of the season in the Cleveland Srixon Northern Order of Merit, fell victim to the appalling weather. Players were unable to complete the first round after the greens flooded. Hopefully, a new date will be announced soon for later in the year. PAUL Howard was first out of the blocks in the race for the Cleveland Srixon Northern Order of Merit crown with an impressive five shot victory in the season-opening Crosby Challenge Plate at West Lancs. The plus two ranked Southport & Ainsdale player opened up with a level par 71, highlighted by an eagle at the second hole. But he pulled away from the rest of the field with flawless 68, containing five birdies. His Lancashire team-mate, England A squad member Paul Kinnear from Formby, was round in 70 and 74 to claim second place by one stroke from another county player and multi winner of plate, Huyton and Prescot’s John Carroll who carded 71 and 74. DETAILS (Par 72): 139 Paul Howard (Southport & Ainsdale) 71 68; 144 Paul Kinnear (Formby) 70 74; 145 John Carroll (Huyton & Prescot) 71 74, Jon Hurst (Pleasington) 70 75; 146 Will Shucksmith (Moortown) 72 74; 147 Ben Sardo (Otley) 75 72, Sean Towndrow (Southport & Ainsdale) 72 75 James Shelley (Formby) 71 76, Glen Furnival (Fleetwood) 71 76; 148 Carl Johnstone (Carlisle) 73 75, Matthew Fold (High Legh Park) 73 75; 149 James Bolton (Formby) 74 75. STANDINGS: 150pts Howard; 100 Kinnear; 75 Carroll; 60 Hurst; 50 Shucksmith; 45 Sardo; 40 Towndrow; 30 Shelley; Furnival 25; Johnstone 20; Ford 15; Bolton 10. Please note that the Bromborough Bowl will not qualify for the Northern Order of Merit because the club’s new date of August 12 clashes with the Birkdale Goblet and Bosden Trophy. Hopefully, the event will return next year if a suitable date is found. PAST WINNERS: 1988 Garry Boardman (Stand); 1989 Trevor Foster (Accrington); 1990 Paul Williams (Denton); 1991 Nick Uttley (Nelson); 1992 Garry Boardman (Stand); 1993 Garry Boardman (Stand); 1994 Karl Wallbank (Ashton & Lea); 1995 Karl Wallbank (Fairhaven); 1996 Stuart Andrew (Clitheroe); 1997 Garry Boardman (Castle Hawk); 1998 Steve Hamer (North Manchester); 1999 Garry Boardman (Castle Hawk); 2000 Garry Lacy (Ashton-in-Makerfield); 2001 Ken Hudson (Hart Common); 2002 Roger Smithies (Manchester); 2003 Mike Kanski (Hesketh); 2004 Michael Hunt (Pleasington); 2005 Ian Winstanley (Warrington); 2006 Michael Hunt (Pleasington); 2007 Mark Young (Longridge); 2008 Mark Young (Longridge); 2009 Mike Bedford (Prestbury); 2010 Mark Young (Longridge); 2011 Stephen McGlynn (Blackburn). EATON Golf Club will feature for the first time in the Cleveland Srixon Northern Order of Merit next year. The Donald Steel designed lay-out, situated at Waverton near Chester, is a challenging par 72 and is certain to attract a strong entry. At stake on July 22 will be the Eaton Talbot, a trophy named after a 14th century hunting dog which also features on the club badge along with the coat of arms of the Duke of Westminster on whose estate the course was originally located. The Formby Hare and Southport & Ainsdale Bowl, on May19-20, not only combine their aggregate scores for the Lancashire Links Trophy, inaugurated last season, but qualify for amateur world ranking points. The first of 29 fixtures tee off with the Crosby Challenge Plate at West Lancs on April 1 and conclude with the Pendle Witch at Clitheroe on September 23. Meanwhile, Cleveland Srixon have confirmed their sponsorship for a second year and will again provide equipment values at £500, £300 and £200 to the top three players at the end of the season. STEVEN McGlynn is hoping that his victory in the Cleveland Srixon Northern Order of Merit won’t have gone unnoticed by the England selectors. most coveted amateur titles. “After that I’ll aim for a Walker Cup place,” he vowed. But if he doesn’t reach such a lofty height, his dream of turning professional could be in jeopardy. McGlynn saw his former county team-mates Tommy Fleetwood and Jack Senior join the paid ranks after competing for GB&I in the biennial showdown against the United States.“I played with them several times and they were my role models,” he said. He could, of course, ultimately change his mind but McGlynn is very much a realist who knows what it takes to get into the big-time. “A lot of youngsters sign up as professionals when they’re not ready and that’s just throwing money away but I still want to make a living from the game even it means qualifying as a teacher,” he said, revealing that he might never have got started but for a coach at a driving range near his Rishton home. “He spotted I had potential and gave me a few lessons,” he recalled, although with his mum Nicola, nee Smith, a former Lancashire player and his dad Mark and grandma Joyce also devotees of the game he was always going to follow in their spikemarks. McGlynn, who studied sport for three years at Indian Hill Community College in Iowa, started the season on scratch but earned a plus three ranking with several high finishes including second in the Lee Westwood, Trophy and third in the North of England Youths. “I’ve been told to play in more national tournaments next year, including the Lytham Trophy, if I want to get into the England squad but as a full-time amateur I have to watch the finances,” he added. He concedes getting the rub of the green when he clinched the Order of Merit, the biggest in Europe with several events counting for amateur World Ranking status, because he won the final fixture, the Pendle Witch at Clitheroe, by a massive nine shots without worrying about the two remaining challengers. Title-holder Mark Young, from Longridge, and Hillside’s Richie Blundell were playing for the six-man Lancashire team beaten in the English County Finals at Ganton. STEVE McGlynn won the Cleveland Srixon Northern Order of Merit in style with a nine shot victory in the final fixture of the season, the Pendle Witch at Clitheroe. And in an ironic twist of fate, the Blackburn player took full advantage of the absence of rivals Richie Blundell and Mark Young who were in Lancashire’s six-man team which failed to defend the English County Championship at Ganton. McGlynn was named as a non-travelling reserve which freed him to compete at Clitheroe where he started the day only 30 points behind merit leader Blundell, from Hillside, and 95 ahead of title holder and three time winner Young, from Longridge. He made his intentions clear from the start, opening up with a 70 then repeating the score in the second round for a two-under-par total to top the merit table by 120 points. All told, he picked up five birdies as Nelson’s Craig Fort finished second for the second week in a row. It was McGlynn’s third success of the season, taking the honours in the Calvert Trophy at Ashton & Lea and Derek Ingham Trophy at Rossendale. SCORES (Par=71): 140 Steve McGlynn (Blackburn) 70 70; 149 Craig Fort (Nelson) 76 73; 150 Shaun Field (Nelson) 74 76, Nick Uttley (Nelson) 74 76, Brett Langstreth (Wilpshire) 71 79; 153 Louis Tomlinson (Haydock Park) 76 77; 154 Nick Carr (Ellesmere) 77 77, Rob Smith (Heysham) 74 80; 155 Tony Flanagan (Clitheroe) 78 77, Andy Walsh (Leyland) 75 80; 156 Gary Byrne (Clitheroe) 79 77, Steve Ackers (Clitheroe) 78 78. It’s up to you, Steve! THE destiny of the Cleveland Srixon Northern Order of Merit title is in the hands of Steve McGlynn. He needs to finish in the top seven in the final event, the Pendle Witch at Clitheroe on Sunday, to overtake leader Richie Blundell. The Blackburn player moved to within 30 points of the Hillside man when he claimed third place in the Trafalgar Trophy at Nelson. But Blundell and Mark Young, the only other remaining challenger, will miss the Clitheroe showdown because they are in the six-man Lancashire side defending the English County Championship at Ganton. And that’s opens the door for McGlynn who was ironically named as a non-travelling reserve for the tournament along with Southport & Ainsdale’s Sean Towndrow. Meanwhile, Longridge’s Young, chasing his fourth Order of Merit crown in five years, met his own Waterloo by pulling out at Nelson because of a family commitment. Host club player Nick Uttley became the first to win the Trafalgar Trophy four times, getting the verdict on countback from clubmate Craig Fort after posting two-under-par totals. Uttley carded 70 and 68 while Fort signed for a brace of 69s, McGlynn a shot behind. SCORES (Par=70): 138 Nick Uttley (Nelson) 70 68, Craig Fort (Nelson) 69 69; 139 Steve McGlynn (Blackburn) 71 68; 140 Daniel Nutter (Clitheroe) 71 69, Tony Flanagan (Clitheroe) 70 70; 142 James Bowditch (Adlington Golf Centre) 69 73, Ian Hardman (Accrington) 68 74, Richie Blundell (Hillside) 67 75; 144 Mark Ashworth (Clitheroe) 72 72; 146 Adam Fothergill (Marsden Park) 75 71, Tony Holt (Wilpshire) 73 73, Nathan Lingard (Marsden Hall) 68 78. STANDINGS: 1,090pts Richie Blundell (Hillside); 1,060 Steve McGlynn (Blackburn); 965 Mark Young (Longridge); 710 John Carroll (Huyton & Prescot); 525 Sean Towndrow (Southport & Ainsdale); 475 James Bolton (Formby); 375 Mark Ashworth (Clitheroe); 360 James Newton (Prestbury); 330 Robert Fawcett (Dukinfield), D Nutter (Clitheroe); 325 Henry Featherstone (Ringway). THREE players will fight it out for the coveted Cleveland Srixon Northern Order of Merit crown with holder Mark Young making the biggest progress over the double-header weekend. But the former Lancashire champion from Longridge must finish in the top two in the Trafalgar Trophy at Nelson on Sunday to claim the title for a fourth time in five years. The Longridge man, who won the Childwall Trophy on Saturday then took fourth spot in the Ashton Trophy at St Annes Old Links the following day, will miss the last fixture, the Pendle Witch at Clitheroe on September 25. 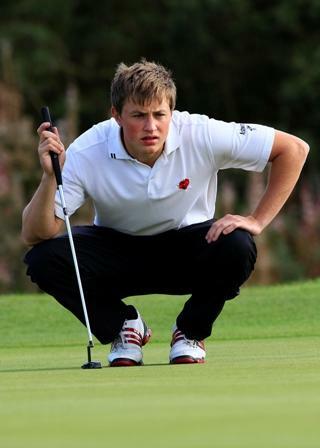 He is in the six-man Red Rose team, which also includes merit leader Richie Blundell, defending the English County Championship at Ganton. Sandwiched between them is Blackburn’s Steve McGlynn who is 75 points adrift of Hillside’s Blundell and 95 in front of Young. “I suppose Steve is favourite with 300 points at stake but if I win at Nelson the pressure will be one him,” said Young. 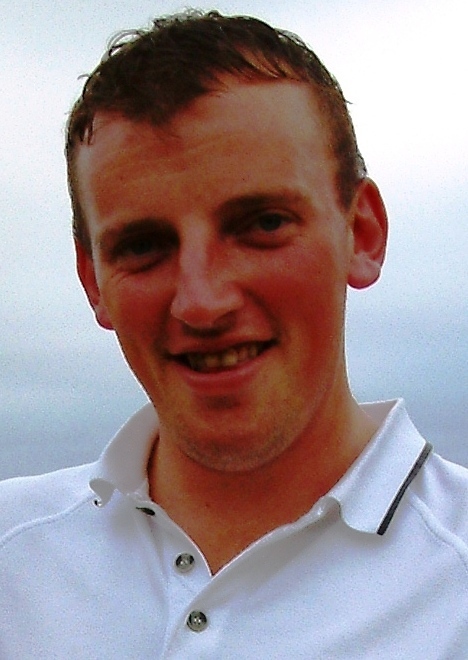 Sean Nicholls won the Ashton Trophy with rounds of 74 and 75, his three-over-par total in testing conditions one shot better than Prestbury’s Daniel Osbaldeston. SCORES (Par=72): 147 Sean Nicholls (Pleasington) 73 74; 148 Daniel Osbaldeston (Prestbury) 76 72; 149 James Bolton (Formby) 72 77; 150 Paul Williams (Hillside) 76 74, Mark Young (Longridge) 75 75, Colin Greenall (St Annes Old Links) 73 77; 151 David Ashley (Royal North Devon) 73 78; 153 Luke Rimmer (Hesketh) 79 74; 154 Chris Lawton (Falkirk Trust) 81 73, James McCormick (Styal) 76 78; 155 Joey Lamb (Wilpshire) 82 73; 157 Daniel Creaney (Southport & Ainsdale) 80 77. STANDINGS: 1,060pts Richie Blundell (Hillside); 985 Steve McGlynn (Blackburn); 965 Mark Young (Longridge); 710 John Carroll (Huyton & Prescot); 525 Sean Towndrow (Southport & Ainsdale); 475 James Bolton (Formby); 360 James Newton (Prestbury); 350 Mark Ashworth (Clitheroe); 330 Robert Fawcett (Dukinfield), 325 Henry Featherstone (Ringway). MARK Young moved into third place in his bid to capture his third Cleveland Srixon Northern Order of Merit title in four years with a four shot triumph in the Childwall Trophy. The Longridge man was the most consistent player of the day with a brace of 70s for a four-under-par total, picking up six birdies and four bogeys all told as Formby’s Mark Duncalf finished second with scores of 74 and 70. It was former Lancashire champion Young’s fourth victory of the campaign following successes at Penwortham, Wilmslow and Bolton Old Links. SCORES (Par=72): 140 Mark Young (Longridge) 70 70; 133 Mark Duncalf (Formby) 74 70; 145 Reece Cranfield (Haigh Hall) 71 74; 147 Steve McGlynn (Blackburn) 73 74; 149 Paul Kinnear (Formby) 74 75, James Roberts (Lancaster) 72 77; 150 Graeme Anderson (Childwall) 78 72, Glenn Senior (Lee Park) 74 76; 151 Richie Blundell (Hillside) 78 73, James Jaycock (Childwall) 77 74, Josh Cowley (Huyton & Prescot) 75 76; 152 Daryl Callister (Mount Murray) 77 75. STANDINGS: 1,060pts Richie Blundell (Hillside); 985 Steve McGlynn (Blackburn); 915 Mark Young (Longridge); 710 John Carroll (Huyton & Prescot); 525 Sean Towndrow (Southport & Ainsdale); 400 James Bolton (Formby); 360 James Newton (Prestbury); 350 Mark Ashworth (Clitheroe); 330 Robert Fawcett (Dukinfield), 325 Henry Featherstone (Ringway).